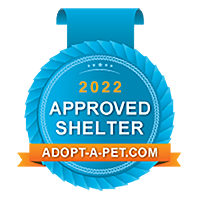 Welcome to Shelter From The Storm Animal Rescue, Inc., all breed cat and dog rescue based in Madison, Wisconsin. We also operate a Spay Me! clinic, a high quality, high volume, low cost spay neuter clinic. Our goal is to reduce euthanasia of healthy and adoptable animals and to provide affordable veterinary care. Shelter From The Storm Animal Rescue, Inc. is a 501(c)(3) not for profit organization. We are largely a foster home based rescue, but some animals are housed at our shelter. Our shelter is not open to the public, but our adoptable animals can be seen online or at our adoption clinics, which are held every Saturday from 10am - 2pm at PetSmart , 2216 E. Springs Drive, Madison. Donated items can be dropped off at Petsmart East on Saturdays during our adoption clinic between 10AM and 2PM.